Magical Santa wall hanging appears on page 54. You must have a copy of the winter 2015 issue of Quilting Celebrations! if you want the pattern and instructions for making the wall hanging. 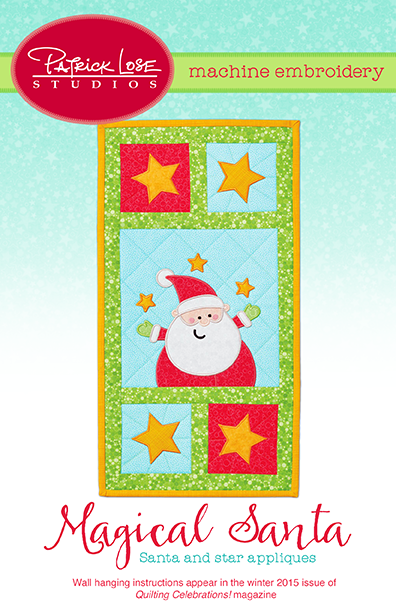 These files are for the juggling Santa and star block appliques.